In a market dominated by Xiaomi, ASUS managed to leave a mark when it launched the ZenFone Max Pro M1 (review) last year. With a loaded spec sheet and a disruptive pricing, the smartphone did manage to give a scare to Xiaomi’s dominance in the Indian budget segment. Now, the brand is rumoured to be working on the next generation of the handset aptly called – ZenFone Max Pro M2. The handset is slated to launch on December 11th and recently the spec sheet of the same was leaked revealing key details. Now we have our first look of the smartphone, thanks to a leaked render by noted forum – XDA Developers. The handset has been spotted by XDA Developers on the Google Play Console’s device catalog with the model number ASUS_X01BD_1. The listing reveals several key specs of the handset with a disclaimer, “device specifications are provided by the manufacturer and have not been confirmed.” However, the specifications listed on the Google Play Console corroborates with the recent leaks, hinting that this might be the actual ZenFone Max Pro M2. The listing also has a low resolution render of the upcoming smartphone and it reveals that the handset will come with a display cutout on the top. The display also hints at the stock Android by the looks of the icons. However, we cannot make out anything else from the said render. 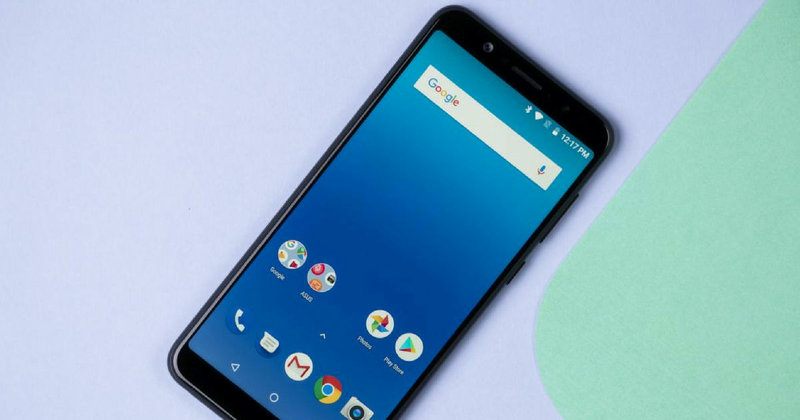 Coming to the spec sheet, the Asus Zenfone Max Pro M2 is speculated to come with a 6-inch notched display with a screen resolution of 2,280 x 1,080 pixels. The device is expected to be powered by the Qualcomm Snapdragon 660 SoC backed by an Adreno 512 GPU and either 4GB or 6GB RAM depending upon the variant. The handset will offer 64GB and 128GB of storage, respectively. In the imaging department, while it’s known that the phone will offer triple camera module on the back, exact details are not known at the moment. Nor is the battery capacity and details of the front selfie shooter. We will bring you more accurate and detailed information when the smartphone goes official next month, so stay tuned.